The 11th annual gala day at Colwick Woods (our very own slice of ancient woodland!) 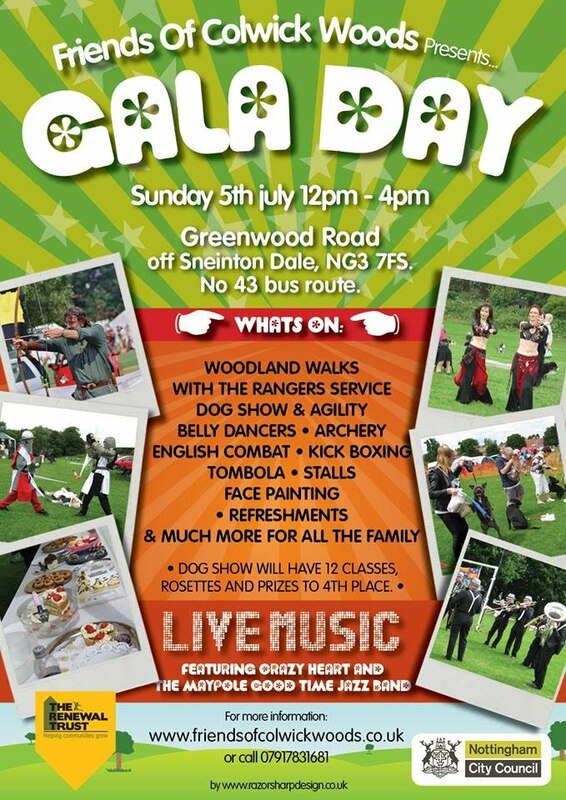 will feature live music, archery, kick boxing, belly dancing, dog shows, stalls and many more activities for all the family... Sunday July 5th is the day. It's one of our favourite events of the Calendar in Sneinton and Bakersfield- a fun and relaxed day in the beautiful parkland at the top of Colwick Woods. We're delighted to hear that the 11th annual Gala will feature all our favourite activities from previous years, plus something called 'English Combat' which will be good to find out about. We understand it's a form of martial arts based on English fighting techniques across the ages. You can also find out about the excellent work of the Friends of Colwick Woods and the rangers service.